They say that Brazil is governed by three great passions – religion, the beach and football ( in Portuguese, futebol). It stands to reason, then, that along with the statue of Cristo Redentor and Copacabana, Rio’s Marancana stadium is one Brazil’s most famous landmarks. 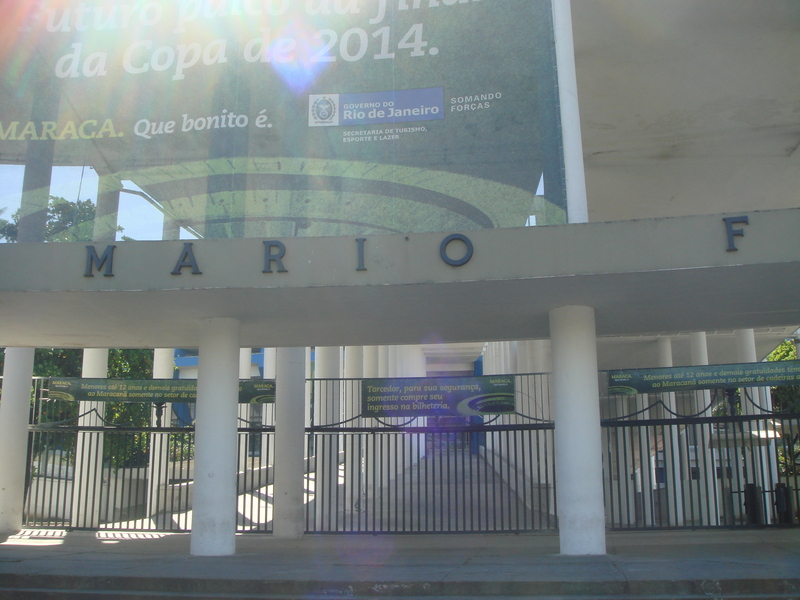 The Maracana was built to host the 1950 FIFA World Cup tournament. It was designed by local architects Miguel Feldman, Waldir Ramos, Raphael Galvão, Oscar Valdetaro, Orlando Azevedo, Antônio Dias Carneiro and Pedro Paulo Bernardes Bastos and the foundation stone was laid on August 2, 1948. Although the stadium was still unfinished, on June 16, 1950, the inaugural match took place. The historic first ball was placed in the Maracana’s goal by Didi and the Rio de Janeiro All-Stars defeated São Paulo All-Stars 3 to 1. Eight days later, on June 24, 81,000 spectators crowded into the still unfinished stadium to witness its first World Cup match. Brazil beat Mexico 4 to 0 and Ademir scored the stadium’s first FIFA goal. On July 16, 1950, an estimated 210, 000 people turned out at the still uncompleted stadium to witness Brazil’s shock loss to Uruguay in the final round disaster which has gone down in football history as the “Maracanazo”. Although the stadium was not finally completed until 1965, it continued, throughout the fifteen years following the World Cup, to draw enormous crowds to Rio club games and to Brazilian football cup finals. In 1966, the Maracana was officially re-named Estadio Jornalista Mário Filho, after the Brazilian journalist who had been a tireless campaigner for the construction of the stadium. However, the old name Maracana refuses to die and it is still the one best known to soccer fans the world over. The Maracana has seen great Brazilian football moments. In 1969, Pele scored the 1,000th goal of his career there, against Vasco, in front of 125,000 spectators. In 1989, Zico scored his final goal for Flamengo at the Maracanã, taking his goal tally at the stadium to 333. It has also seen tragic times. On July 19, 1992, an upper stand in the stadium collapsed. Three spectators were killed and 50 more were seriously injured. After this incident, the Maracana became an “all-seater stadium” with a greatly reduced capacity. It was closed for renovations in 2006 and re-opened in January 2007 with an all-seated capacity of 88,992. 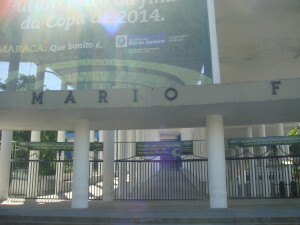 Since the 1980s the Maracana has played host to numerous non-football events. Pope John Paul II has said mass here. On January 26, 1981, Frank Sinatra sang to crowd of 150,000 here. 180,000 people gathered to hear Tina Turner, in 1988 and again to hear Paul McCartney in April 1990. Sting, Madonna and the Rolling Stones have all played twice at the Maracana. Great music festivals, like Rock in Rio, have taken place here. On July 13, 2007, the stadium hosted the opening ceremonies of the XV Pan American games. Then, of course there were the FIFA World Cup games of 2014. In 1998, the Maracana was classified as “real estate”. In Brazilian terms this means that it is a heritage site and is there to stay, which is a wonderful thing for the millions of football fans who consider it sacred soil.